Take 1 seconds pauses between steps. This workout should take about 30 minutes to complete it. Kettlebells are extremely effective training tools for providing total-body strength and conditioning. The problem is that kettlebells are often used improperly. As with any technical movement, lift, or skill, proper coaching is required to maximize the benefits. 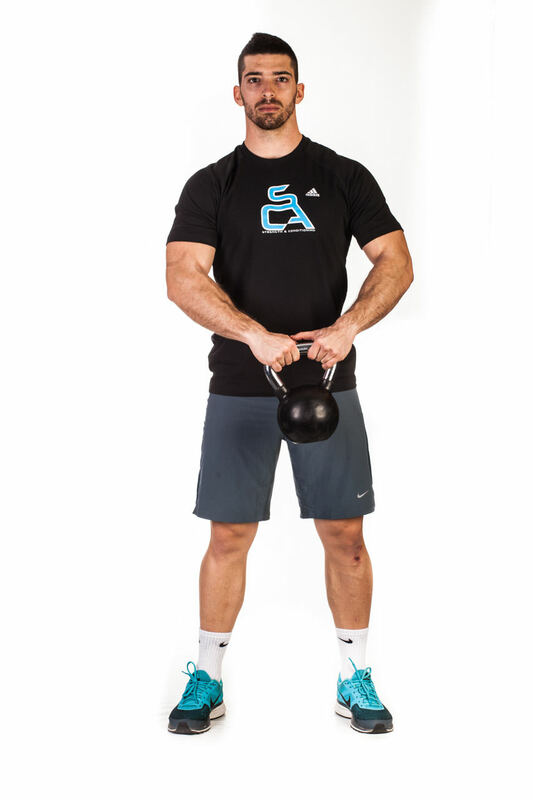 Place one kettlebell between your feet holding it with both hands. Push back with your bottom and bend your knees to get into the starting position. Make sure that your back is flat and look straight ahead. 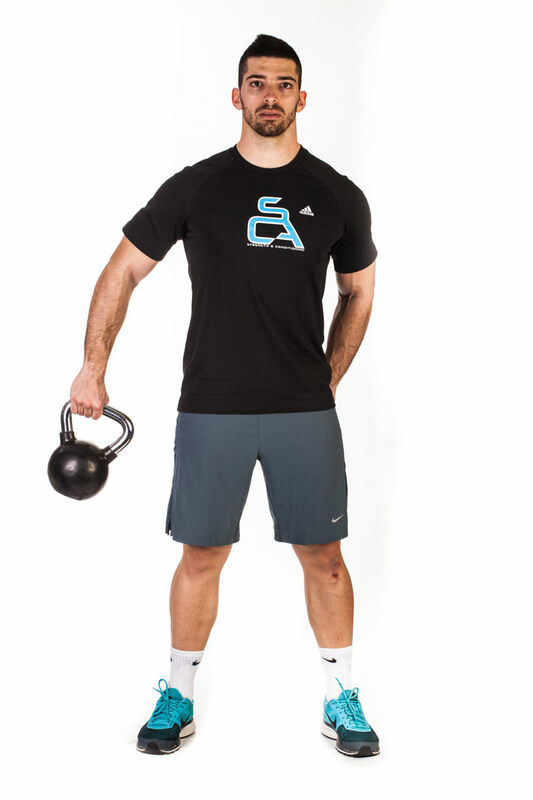 Stand with the kettlebell just outside your shoulder. Rotate your wrist so that the palm faces inward. 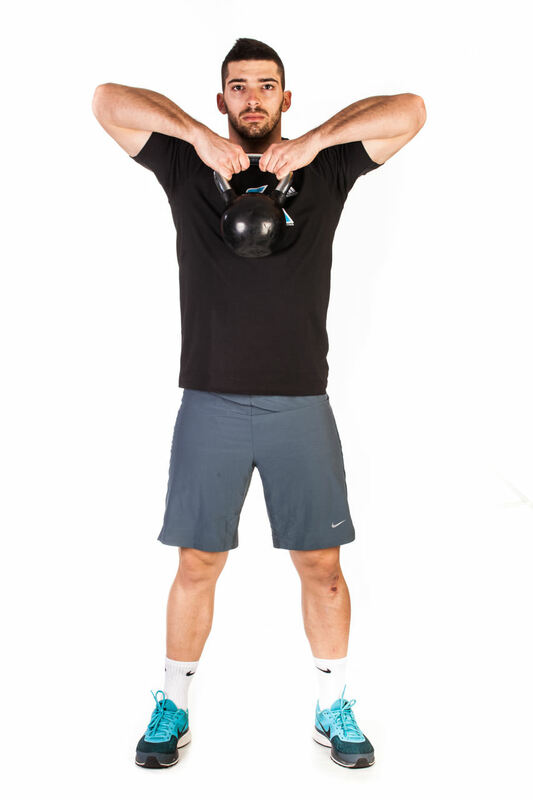 Press the kettlebell up and out until it is locked out over your head. Your arm is now fully extended. 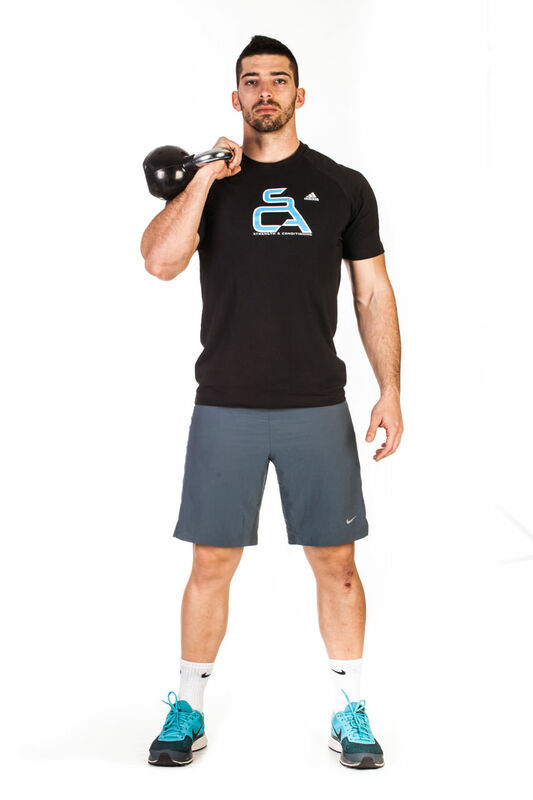 Lower the kettlebell back to your shoulder in a controlled manner. Repeat the exercise according to the training plan then switch arms. Reverse the direction of the rotation after each repetition. Repeat the exercise according to the training plan. 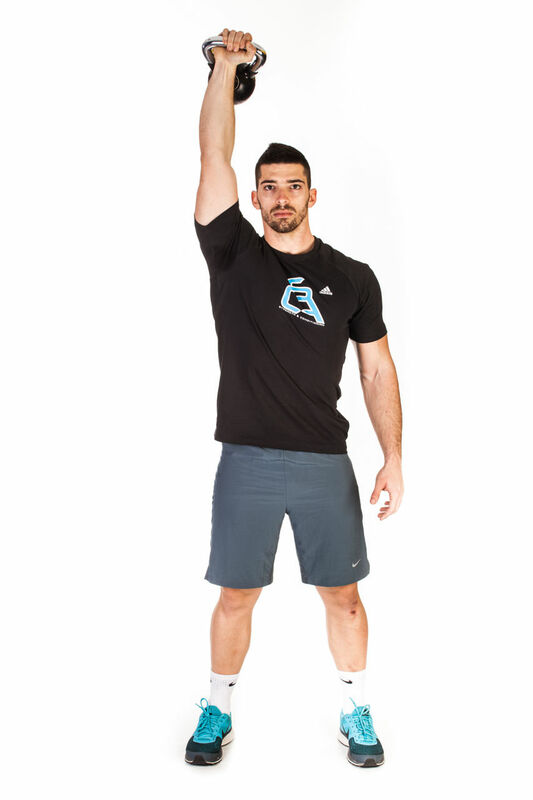 Grab the kettlebell and hold it in front of your foot with your fully extended arm. Bend your knees slightly and then push your glutes out as you bend over to get into the starting position. 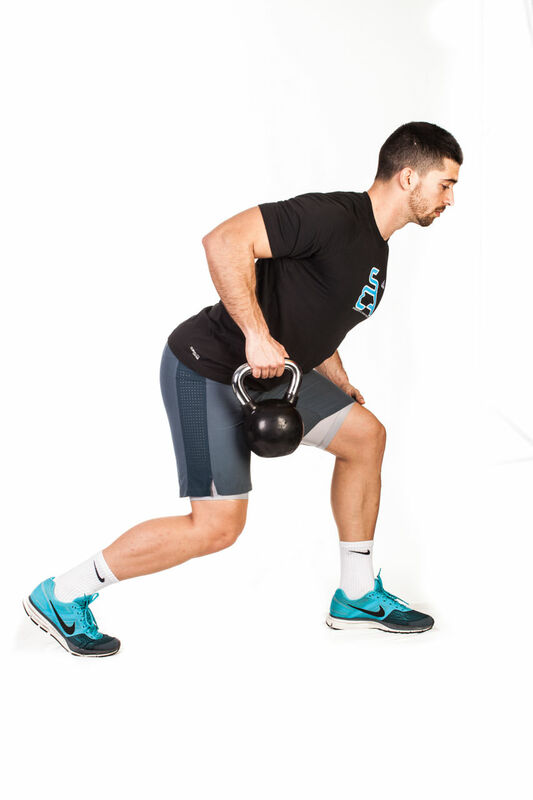 If you keep the kettlebell in the right hand, the same foot is rolled back. 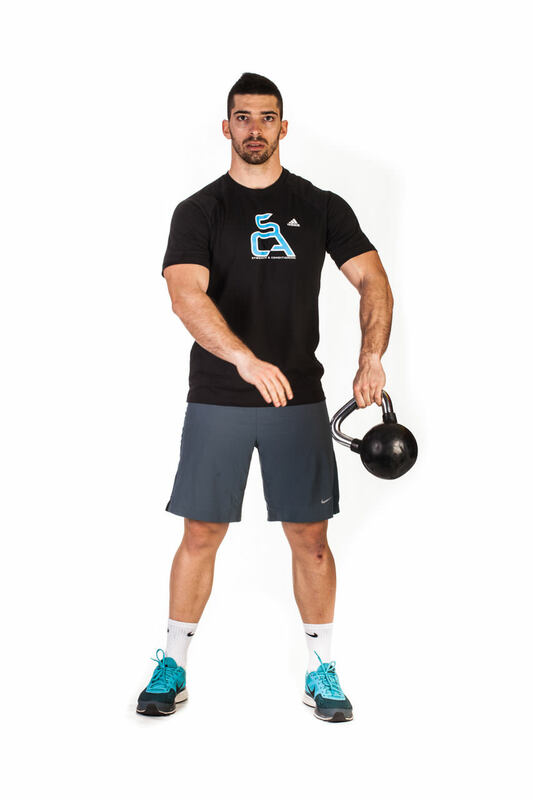 Pull the kettlebell to your stomach, retracting your shoulder blade and flexing the elbow. Keep your back straight. 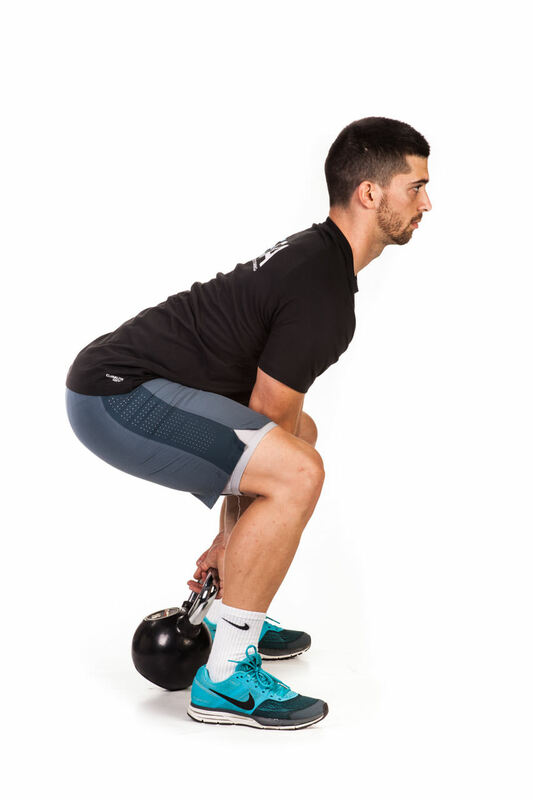 Lower the kettlebell down into the starting position. Repeat the exercise according to the training plan then switch arms and legs. Grab a pair of kettlebells. Sit on the floor with your legs extended in front of you. 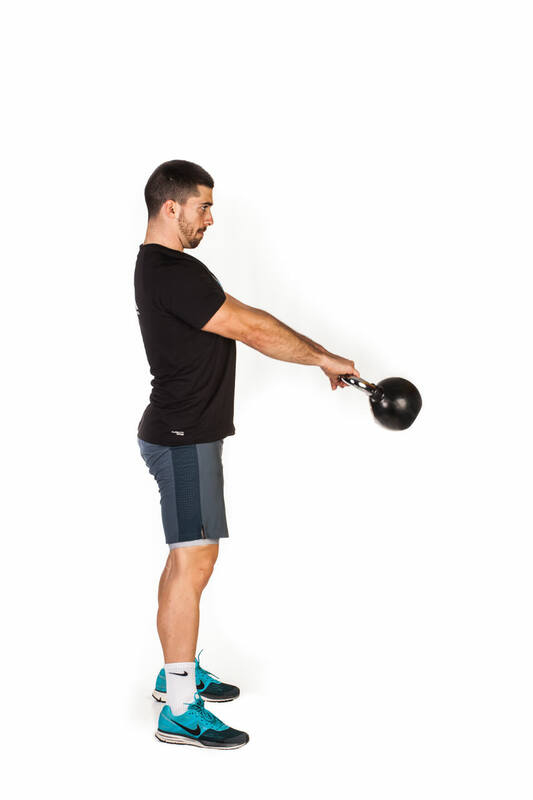 Bring the kettlebells to your shoulders. Press the kettlebells up and out until they are locked out over your head. 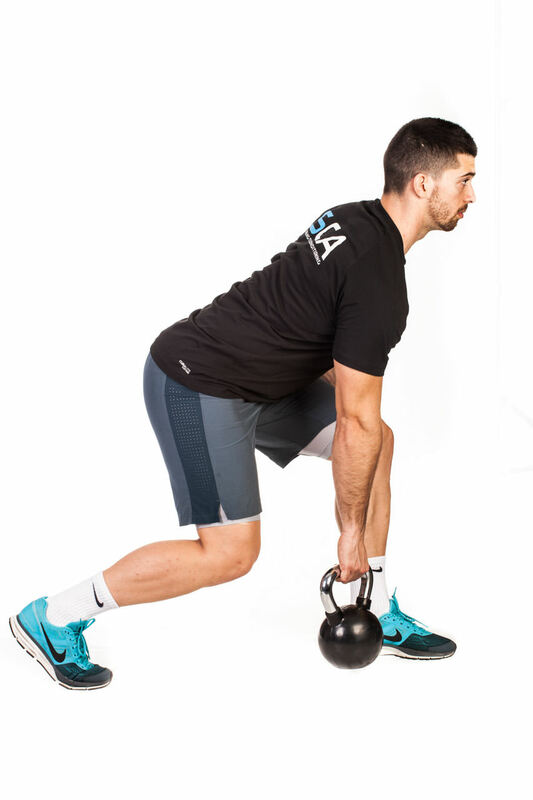 Lower the kettlebells down to the starting position and repeat the exercise according to the training plan. You are back in the starting position. Repeat the exercise according to the training plan switching directions (arms) with every rep.